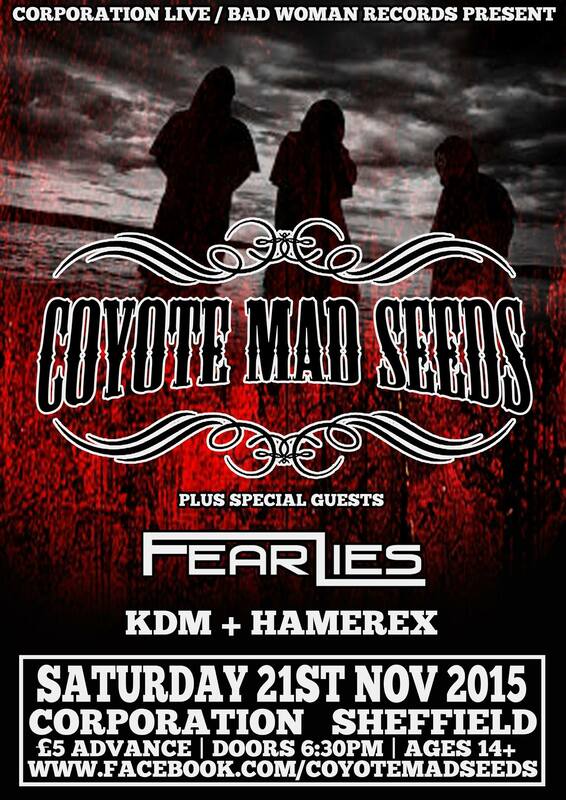 We are very pleased to announce that we will be opening up for our friends Coyote Mad Seeds at the Corporation in Sheffield on 21st November with Fear Lies and KDM. This will be our last gig of the year, and our first time playing at the Corporation. This is going to be a great night of music and tickets are only £5.